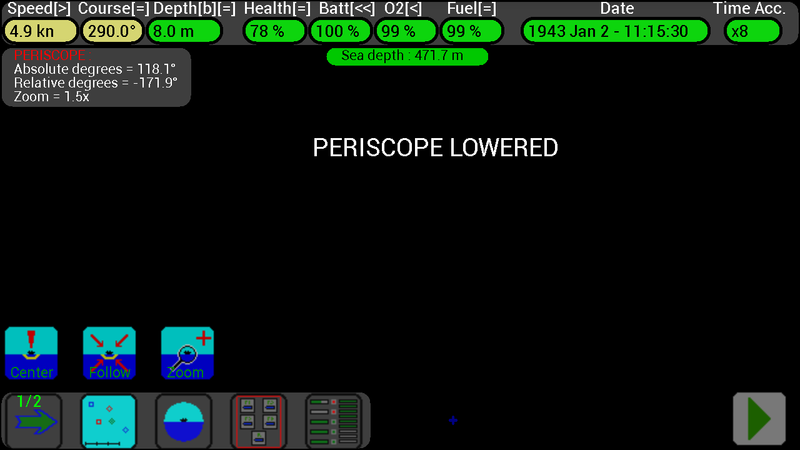 Remember to keep your periscope raised for short time if there are enemies around, or they will be able to detect you using their sight or radar ! 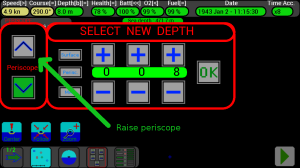 To rotate the periscope, put your finger on the screen and move it left or right. 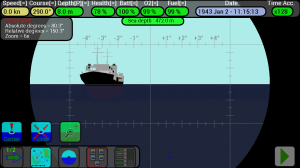 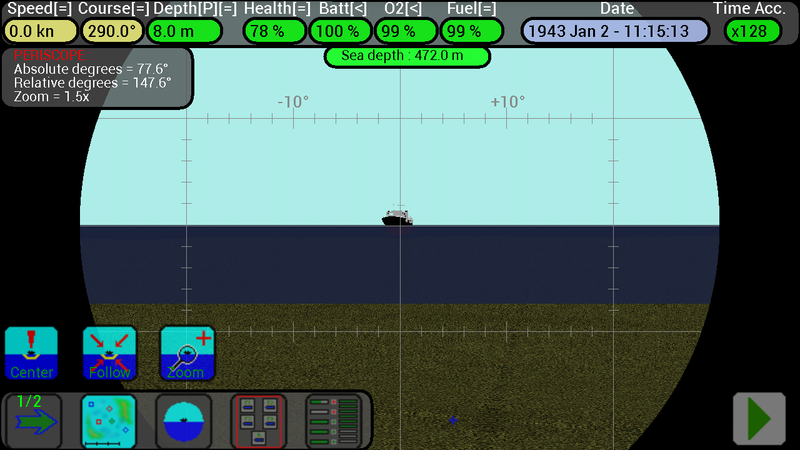 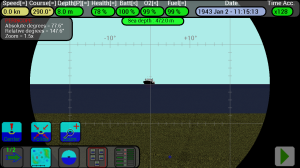 absolute (0° = nord, 90° = east, 180° = south, 270° = west) or relative to your submarine’s course (0° = ahead, 90° = right, 180° = back, 270° = left). 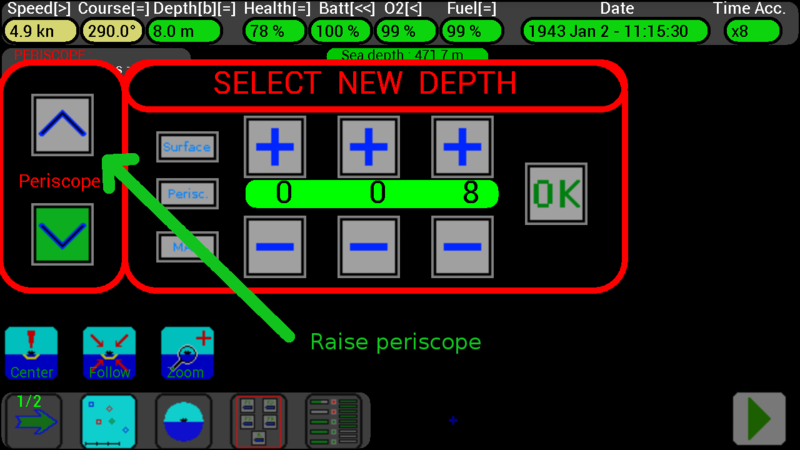 First select a unit in the map, then press this button to center the periscope view to the selected unit, to see it at the center of the screen. Select a unit on the map and press this button to keep it centered on the periscope screen; when “Follow” is active the button’s icon becomes green; press it again to release the “Follow”.